One of the more interesting Android accessories that we have seen over the past year came when HTC introduced the Dot View Case for the One M8. A weird looking accessory that is also strangely functional, it certainly gives the One M8 a distinctive look in comparison to other “smart” cases and covers. 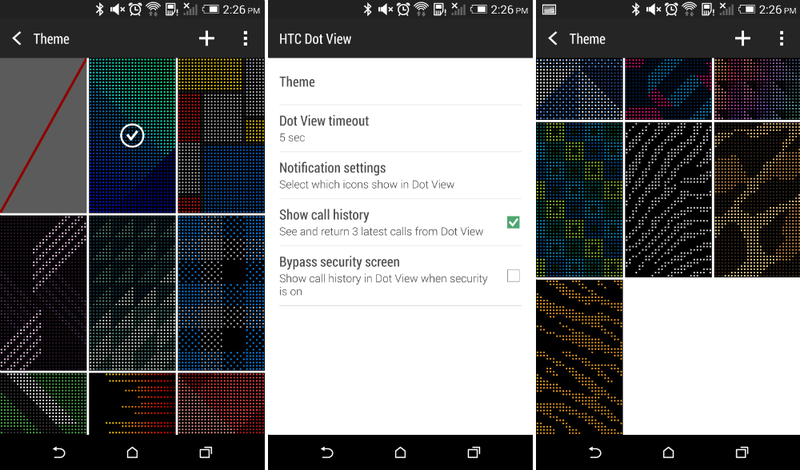 Today, the app that controls the Dot View Case received an update through Google Play that brings a few new features inside. 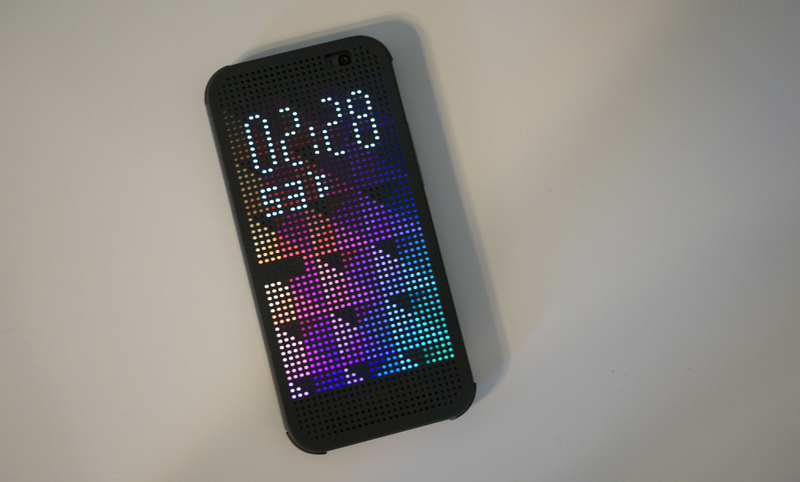 First up is the addition of personalized backgrounds for your Dot Case. You can either upload personal photos from your gallery to be dot-i-fied or you can choose from HTC’s pre-loaded screens that look pretty good on the case. Secondly, you can also re-dial numbers that have called you in case you missed them right from the cover, and HTC has added new notifications to the screen as well. This update is definitely worth grabbing if you have the Dot Case. Head on over to Google Play to grab the update.